WESTBROOK — Walker Memorial Library may expand its borrowing program to Gray and Windham. Last summer the library joined forces with libraries in Cape Elizabeth, Gorham, Scarborough and South Portland to offer patrons joint borrowing privileges. The program, in which a card from any of those libraries can be used to check out books and other library materials at any of the other locations, may soon be in effect at Gray Public Library and Windham Public Library. Walker Memorial Library Director Becky Albert said she met over the summer with the directors from the Thomas Memorial Library in Cape Elizabeth, Baxter Memorial Library in Gorham, Scarborough Public Library and South Portland Public Library to go over how the program went in its first year. “We all agreed that it has been working great and we wanted to explore expanding it,” she said. Patrons from all the libraries in the program have come to Walker Memorial to peruse the shelves, but most have been from Gorham, Albert said. An attorney is reviewing the shared borrowing agreement to see whether it can be adjusted “so we don’t have to go back and change it every single time” another library wants to join, Albert said. Even if the Gray and Windham libraries cannot be added to the agreement, library officials in Westbrook are keen to have their own joint agreement with those two libraries. “I’ve spoken to the directors of Windham and Gray and we all agreed we will do it anyway, even if it just the three of us,” Albert said. The cooperation would need approval in those communities, but Albert said the hope is to have some sort of arrangement up and running by the end of September. Josh Tiffany, the director of the Gray Public Library is hoping it happens. “It seems like a great program and I am excited to be a potential part of the next step and see it expand every further beyond us,” he said. The program, Tiffany said, would benefit Gray patrons by allowing them to stop at other libraries on their way to and from work. It would help the Gray Library by showcasing to readers in other communities what the library has to offer. Since hours vary between area libraries, Alvino said library patrons in Gray can drive the 15 or 20 minutes to Windham on Monday when Gray Public Library is closed. 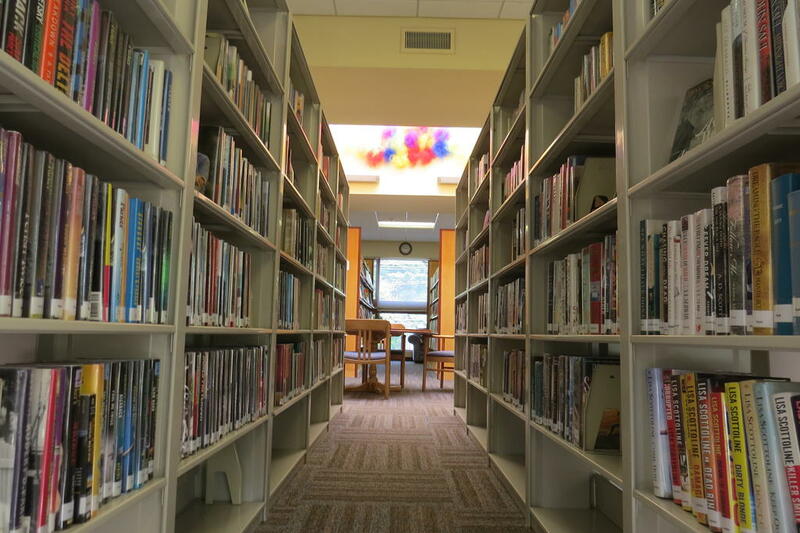 Windham is within 15 to 20 minutes of the libraries in Gorham and Westbrook as well, giving those patrons the ability to check books out in those locations when the library in Windham is closed. Baxter and Walker libraries, for example, open an hour earlier than Windham does and stay open an hour later at least two days a week. Gray is open two hours later Tuesdays and Wednesdays. The libraries in Gray, Gorham, Westbrook and Windham, like more than 60 other libraries across the state, belong to Minerva, a book and material sharing service, but an arrangement like the one Cape Elizabeth, Gorham, Scarborough, South Portland and Westbrook libraries have, offers patrons another, sometimes more convenient, way to get the materials they want. “Minerva is a fantastic system, but this will save patrons a couple days time so they don’t have to wait from things to get from point A to point B. Plus it adds value to the card they carry in their wallet everyday,” Tiffany said. In fact, Rathbun, the chairman of Minerva’s circulation standards committee, said the consortium may be looking to start a statewide joint library card program. “There has been some talk about using this agreement as a model for expansion,” Rathbun said. At this point, the topic just at the discussion level, but Rathbun hopes something will be before Minerva’s board of directors by the end of the year. Walker Memorial Library’s joint borrowing program may be expanded to the libraries in Gray and Windham this fall. Minerva, the 60-plus consortium of libraries across the state, may also look into a similar sharing arrangement among its libraries.